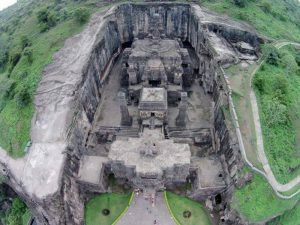 Kailasa Temple, also known as Kailash Temple or Kailasanatha Temple is, an architectural wonder situated in Ellora Caves, Aurangabad, Maharashtra. 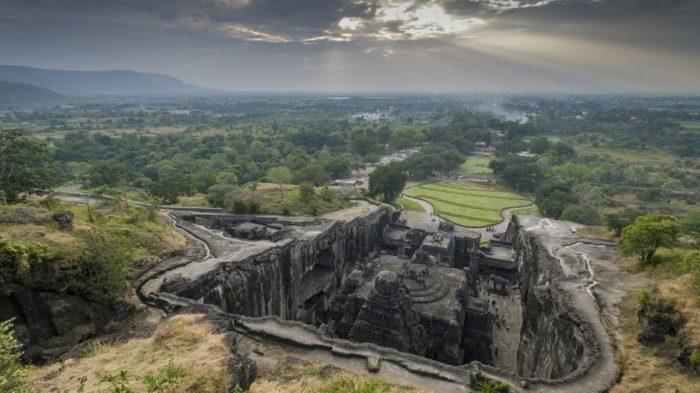 The Kailasa temple (Cave 16) is one of the 34 cave temples known collectively as the Ellora Caves. Taj Mahal is considered as one of the wonders of the world, but Kailasa temple should also be considered. We can recreate Taj Mahal using modern day tools but not the Kailasa temple. The temple is the real wonder of the world because science has yet to answer how this temple could have been built in ancient time without modern equipment and heavy machines. 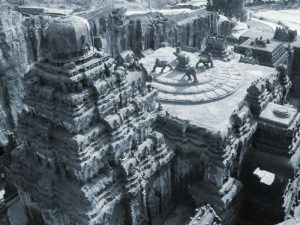 Kailasa Temple is the world’s largest monolithic architecture. A giant mountain was carved to create this structure and the mountain was cut out from the top to create a structure. 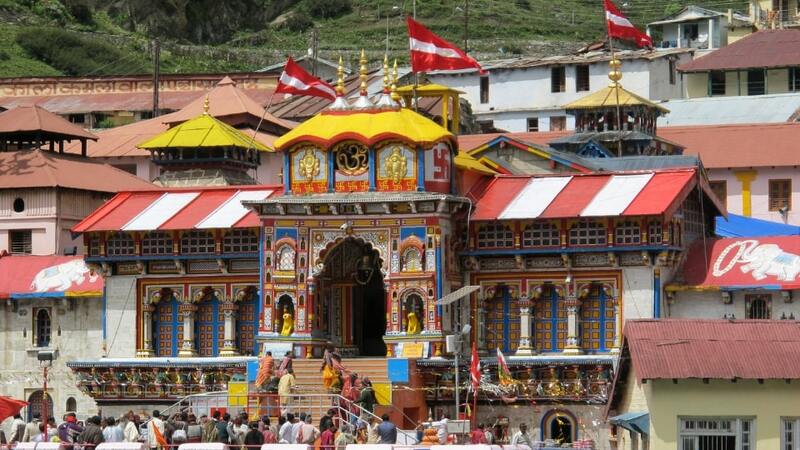 Tales suggest that it took 18 years to build this temple. As per archaeologists, over 400,000 ton of rocks had to be scooped out to make this amazing structure. The carvers began from top of the mountain and carved their way downward. The temple stands 60 feet (18.29 meters) tall and 200 feet (60.69 meters) wide. The temple has U-shape and is three stories tall. Now think how 400,000 tons of heavy rock was scooped out by using equipment like hammer and cutters. Let’s assume if 7000 workers worked day and night for 18 Years 12 Hrs a day with no breaks at all. If 400,000 tons of rock were to be removed in 18 years, workers have to remove 60 tons per day and 5 tons per hour. And this is only for scooping out the rock. What about the time taken in designing, planning and carving the temple. How did they manage to carve out this temple using only hammers, chisels and picks? People made this temple by cutting the solid mountain from the top, so a single mistake by any worker can ruin the whole effort. Luckily, there was no mistake in the whole construction process. This temple was built to honor Lord Shiva and it was intended to mimic his home on Mount Kailash located in Himalayan Mountains. There is no record of when the temple was built and carbon dating cannot help as it will tell the age of the mountain and not the period when the temple was carved out of it. The temple also has bridges within it that connect various towers found at the temple. There are two Dhwajasthambha (pillars with flagstaff) in the courtyard. It has proper drainage and rainwater harvesting system that most of our model cities lack. 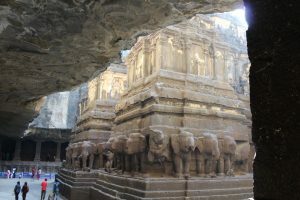 The Kailasa Temple is also noteworthy for numerous sculptures. There is an image of Nandi facing the Shivalinga in the main courtyard. elephant sculptures can be seen at the base of the temple that gives an impression that the whole structure is being supported on the backs of these beasts. There are 10 panels depicting the different avatars of Lord Vishnu. Some panels are also dedicated to Mahabharata and the Ramayana. There is also a sculpture of Ravana trying to lift Mount Kailash. There are also several similar sculptures. 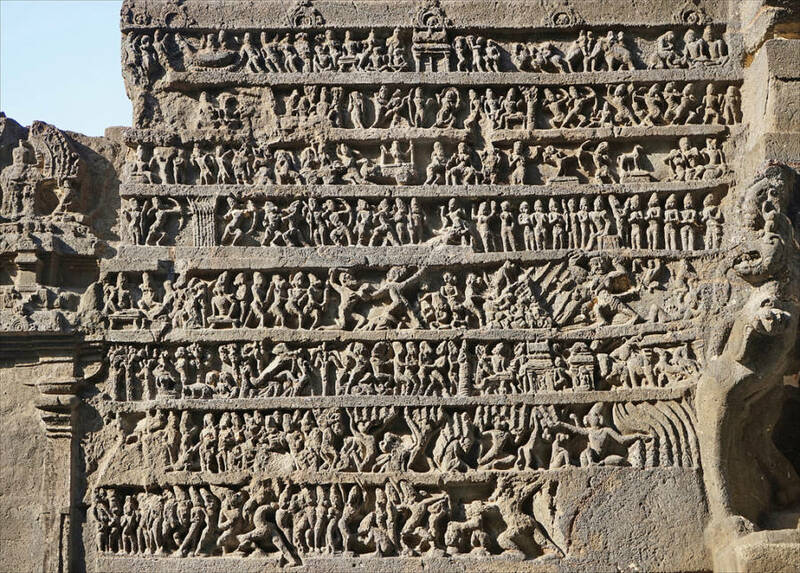 Here is one of the many stories carved into the walls of Kailasa Temple. Archaeologists also estimate that there are more than 30 million Sanskrit carvings and these are yet to be translated. If they could unlock the hidden meaning of the language, the temple can become one of the most valuable historical artifacts on Earth. There are also strange tunnels into the temple and a few archaeologists suggest that there could be a vast underground city. But these tunnels are too narrow for an average human being. Now entry to tunnels is restricted. If you visit the temple, you can see bars and lock at the entry of the caves having such tunnels. Tales suggest that the temple was built in a mere 18 years. However, scholars believe that it was built over centuries. M. K. Dhavalikar concludes that the major portion of Kailasa Temple was completed during the reign of Krishna I (ca. 756-773 AD) but remaining parts were built during the region of later rulers. The attribution to Krishna I is not completely certain. There is a Medieval Marathi legend that refers to the construction of the Kailasa Temple and it can be found in Katha-Kalpataru by Krishna Yajnavalki. As per the legend, the local king became gravely ill. To save him, his queen prayed to Lord Shiva and vowed to construct a Shiva temple if her prayers were answered. She also promised that she won’t eat anything until she could see the top of the temple built. 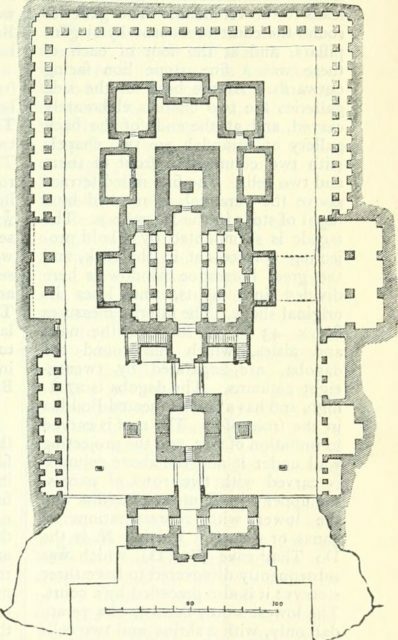 After her husband was cured, she called multiple architects to get a plan for the construction of the temple. Most of the architects explained that a full temple would take months or years to build. king and queen grew frustrated after meeting all these architects because it was not possible for the queen to fast for months of years. Then an architect Kokasa came with a claim that he will work on the temple and the top would be visible within a week. So, the queen can break her fast in a week. For making this possible, he started building the temple from the top down by carving into a big solid rock and built the top part of the temple. 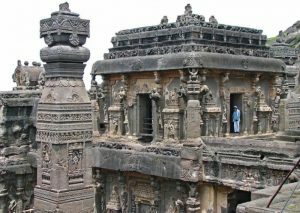 Unfortunately, no one knows how long it took to carve the whole Kailasa temple. 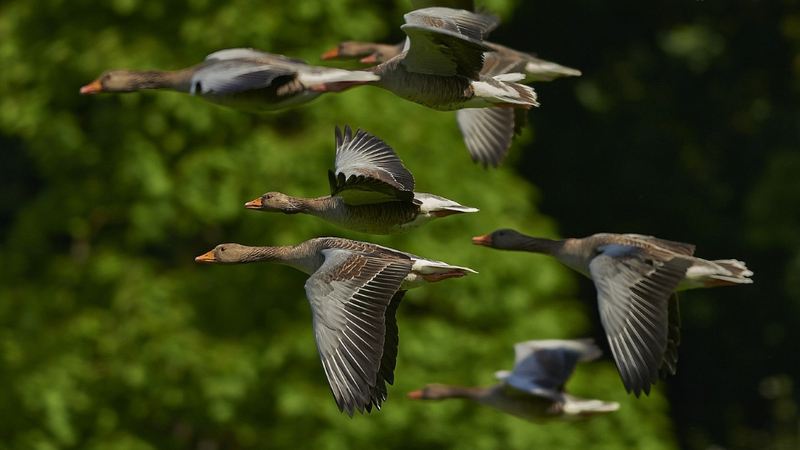 There is no written record of how such a masterpiece was built and what resources were used. Most of the tales suggest 18 years, but it seems impossible to build this kind of temple by carving a solid rock from top to bottom in just 18 years. We can now only guess the greatness of engineering we had in past. Out of 34 temples in this area, only Kailasa stands out and is visible from the air if you fly over. 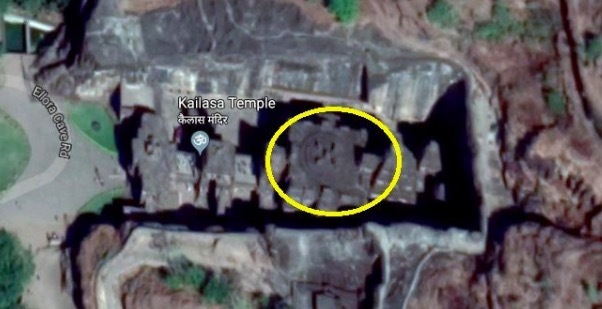 It also shows X mark from the top and same is visible even in the aerial view of Kailasa temple on Google earth. The temple has a circular design that is studded with 4 lions. These 4 lions create this huge X mark. Was this X mark created so that one can spot the location while flying? Mughal emperor Aurangzeb always hated the glory of Hindu history and Hindu temples. He demolished several temples to build a mosque. The same he tried to do with Kailasa Temple. After his ordered to demolish of Kailasa temple in 1682, 1000 laborers worked day and night for over 3 years but they could only disfigure a few statues here and there. Aurangzeb finally gave up. The attempted destruction also shows how strong the rock is, but the same rock was carved to build this big temple from top to bottom. The sad reality of Indian historians is that they glorify Mughals but ignore wonders like Kailasa Temple that is a real architectural Wonder. 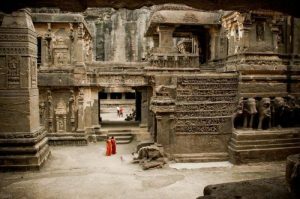 How to reach the Kailasa temple? Kailasha Temple is located at a distance of 30 km from Aurangabad city in Maharashtra. Aurangabad is well connected to Nagpur, Mumbai, and Pune by road. 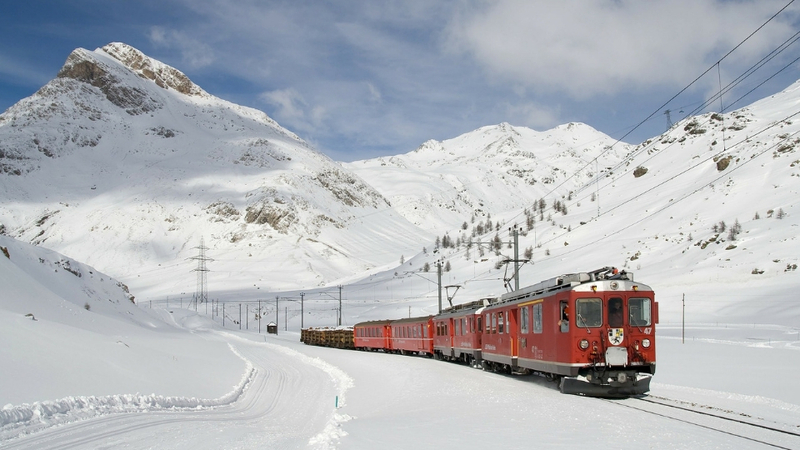 Its railway station is also connected to Mumbai, Ahmadabad, Hyderabad, Bhopal, Pune, Nagpur and Shirdi. Aurangabad also has an airport, so you can also take a flight from any major city. 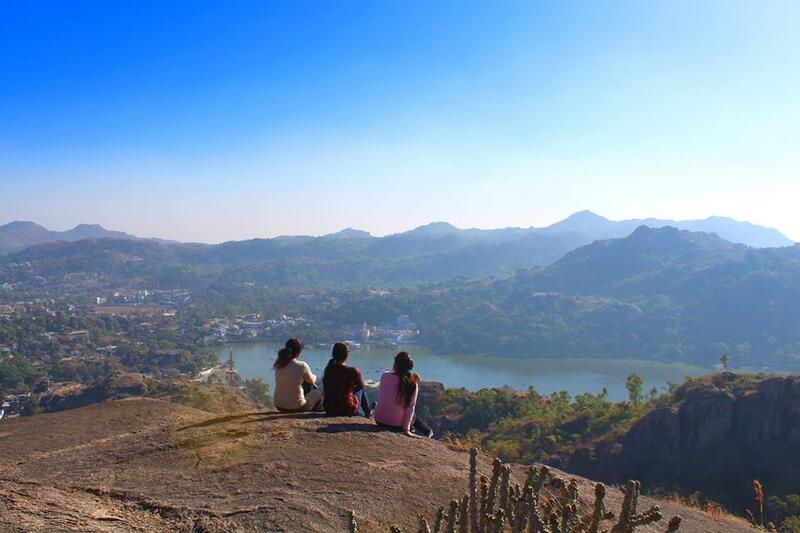 From Aurangabad, You can hire an auto-riksha or a taxi for site seeing. 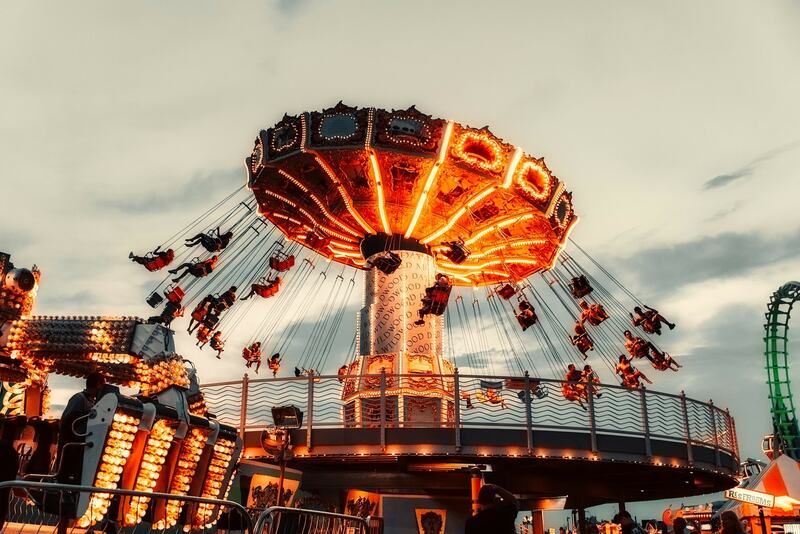 Aurangabad is a popular tourists destination, so there are several hotels including luxury hotels like Hotel Ambassador Ajanta and Taj Residency. 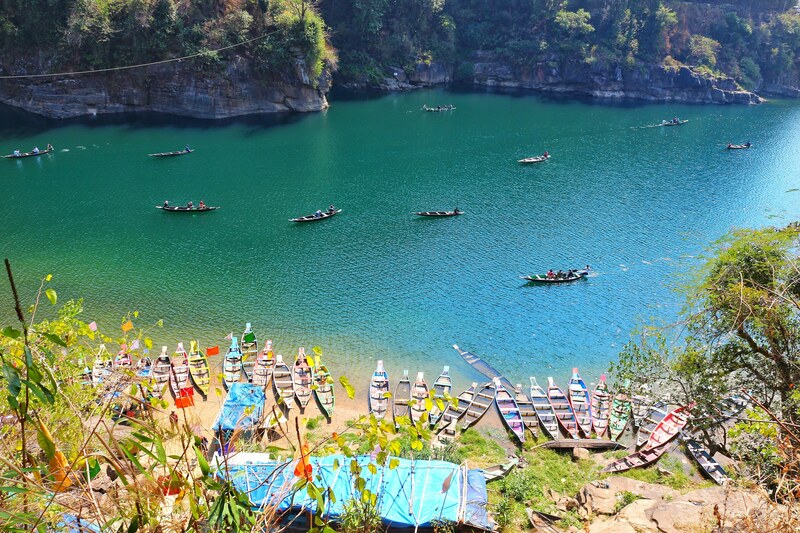 There are also several deluxe hotels to standard budget hotels. You can make your booking in advance. 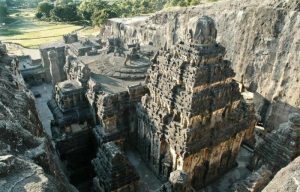 Best time to visit Kailasa temple? The best time to visit Aurangabad and see the Kailash Temple is the month of December. This is the time when Indian classical music festival is held at Ellora by the MTDC. 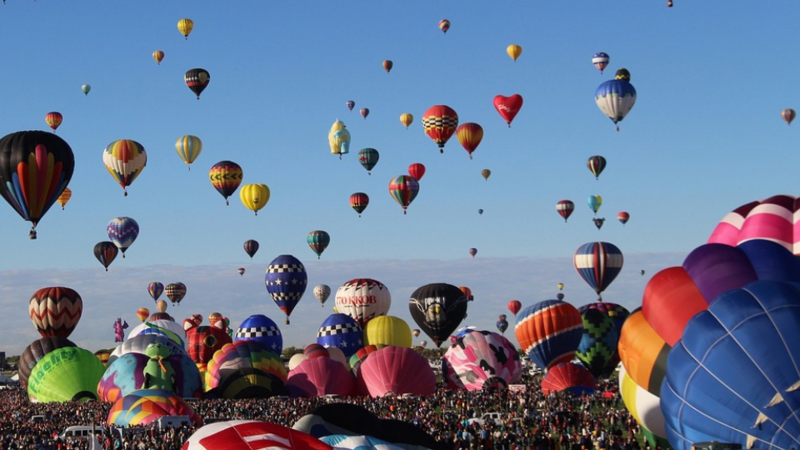 If you are not interested in this festival, October to February is the best season. Cave Timings: 6 AM to 6 PM on all days except Tuesdays.